So, what is Ubokia? you ask? Well, Ubokia is the new guy in town. Think the classifieds meet craigslist. It's a secure place you can go to buy stuff you want or to sell it. On top of that you can find people who already want what you have to offer! Talk about shortening the game plan! Well, what you do first is create a free account on Ubokia's website. It's super simple...you can even use facebook to login! How easy is that?? Next, let's say you're lookin' for a vacation. C'mon..who doesn't need a vacation? Then just type in your search. OR let's say you want to sell your timeshare week...you can do that too! Maybe you want to see if anyone is looking for a timeshare, then you can connect with them! On Ubokia you can find anything from electronics to housing to vacations to furniture. You can sell them too! How cool is that?? With uTrust, Ubokia is the safest way to buy online. Buying through a blog marketplace means you are connecting with other like-minded people - making it easier to find what you want and in general your interactions are more pleasant than something like Craigslist. Ubokia is easier for buyers because all they have to do is post a want and let sellers come to them. No more searching! Ubokia is easier for sellers because they don't have to wait to potential buyers to view their products. They can immediately connect with buyers. One really great thing about Ubokia is their ugroups. 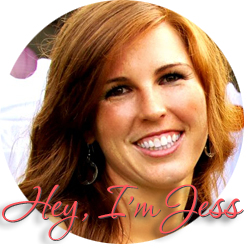 The Redheaded Princess has its own ugroup so if you'd want to join I'd really love it! But what's cool is you can even create your OWN group. Maybe you a part of a small group at your church or maybe you wanted to create one for your coworkers. Then you could just all put your wants and needs on there. How great would that be? So, Join Ubokia Everywhere and stop searching for what you want. Look for the Marketplace in the tabs at the top of the page or in my sidebar.